When you need hard drive data recovery, be sure the facility has the proper industry certifications. Otherwise, the data you are missing from your hard disk drive (HDD) may be at a much higher risk of being unrecoverable or even permanently destroyed. As the platters in an HDD speed along at an average rate of 7,200 RPM, a cushion of air is created on which the actuator arm and read/write heads float a mere 3 nanometers above the fragile surface of the rotating disks. This fly height is microscopic, and it is essential to the functionality of the drive. 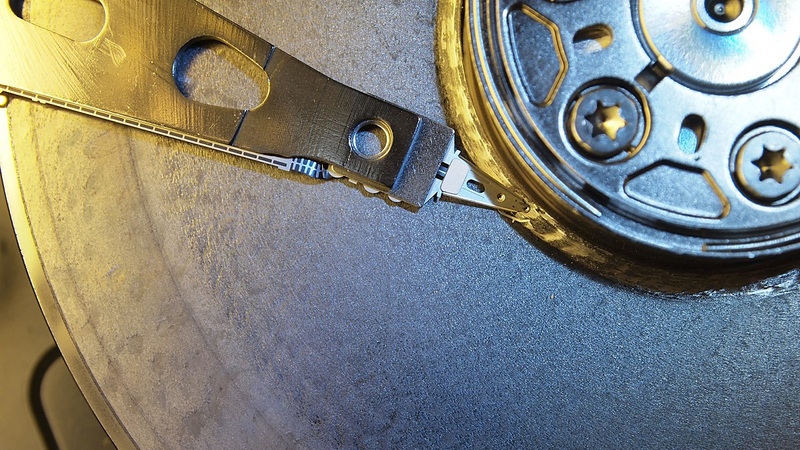 Extreme damage and data loss can result if any particulate matter (even something as thin as a human fingerprint) gets between the surface of the rotating disk and the read/write heads in a hard drive. Any foreign object could be struck by one of the heads, causing damage to the mechanism and destruction of data. The hard drive data recovery company you choose should have a cleanroom in which disabled hard drives and other sensitive equipment can be inspected and worked on without introducing any additional risks of contamination, damage or data loss. DriveSavers performs all hard drive data recoveries in a Certified ISO Class 5 Cleanroom environment with highly-filtered air containing no more than 100,000 particles greater than .1 micron in size per cubic meter. This controlled environment (laboratory) is 10,000 times cleaner than a typical room (non-controlled environment), which can have as many as 1 billion particles of this size per cubic meter. Performing hard drive data recovery inside a Certified ISO Class 5 Cleanroom maximizes the opportunity for a safe and successful recovery. Regular audits should be conducted to measure and certify the effectiveness of a cleanroom installation while it’s in use. Some data recovery companies with certified cleanrooms had their audits performed while the rooms being tested were unoccupied and not in operation. Particle counts may differ substantially while a cleanroom is actually in use and occupied with people. Cleanroom engineers must wear special suits, plus protective headgear and footgear to guard against contamination. All accessories—including writing paper and pencils, cleaning tools and more—are specially designed to reduce the release of any particulate matter into the atmosphere. Our Certified ISO Class 5 Cleanroom allows our engineers to work within the manufacturer-recommended limits of cleanliness during the recovery process. Take a moment to review DriveSavers current ISO Class 5 audit report, which we passed with flying colors while operational. Have a sneak peek at the DriveSavers Cleanroom. Given in order as they appear in the article.